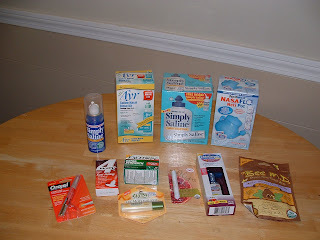 Frugal & Fabulous: Rite Aid 10/13 - medicine when I need it! Rite Aid 10/13 - medicine when I need it! Gotta love this Rite Aid Sale! 1 - Neti Pot = $10.99 (used $3 rebate IP!) AND THEY ACTUALLY TOOK IT! :) = $7.99 Thanks to FrugalSuz !!! for this awesome tip ! Nice job Linds! I made a quick stop today... will probably go back at the end of the week after payday... hope they have some of the freebates left!